Are you looking for the ultimate gift? 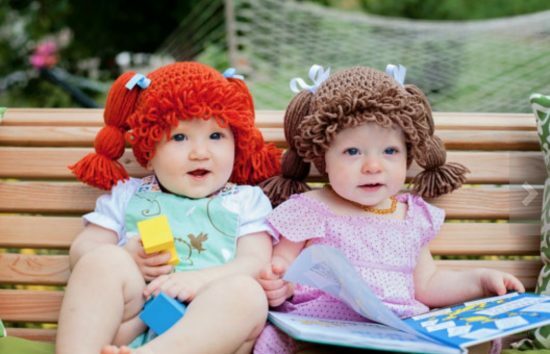 Everyone is going mad for these Cabbage Patch Wigs and they make adorable photo props too. Check out all the different versions now. 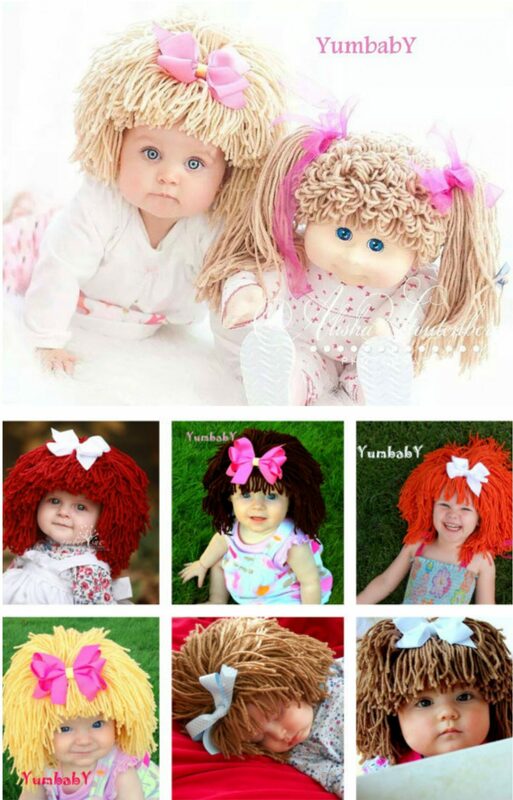 It doesn’t get cuter than these Cabbage Patch Wigs and they make the perfect gift. You can take adorable photos, and imagine popping it on the big screen at their 21st! It’s easy to see why everyone loves them and we have included a number of gorgeous designs from Etsy that are so sweet. Lillie Pad on Etsy is the creator behind these incredibly sweet versions above and they get rave reviews on their website. You can purchase them in baby, toddler and even adult size. 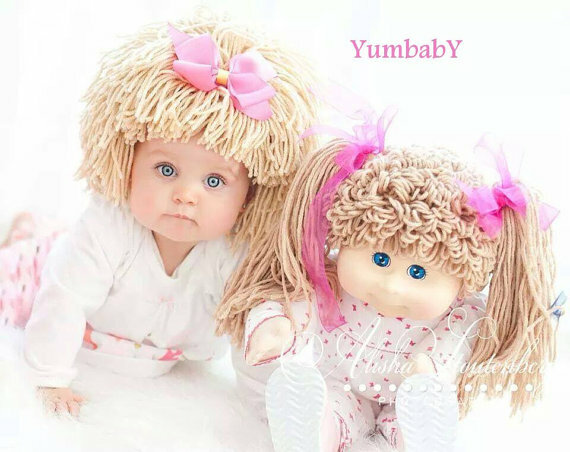 Yum Baby is another highly rated Etsy Shop that has an assortment of unbelievable designs that you will love to check out too. You can see their collection here.